What are your fav. books, writers, and why? I guess my favorite book of all time would have to be The Chronicles of Amber by Roger Zelazny, because he's one of the first writers I found while reading fantasy books, therefore, some stuff I ran into later seemed like child's stories compared to it. My Favorite book would be The Great Gatsby. Because Nick(The Narrator) Dose not Judge anyone he meets. It's the First time I've seen some thing like this in a character of the Jazz age. 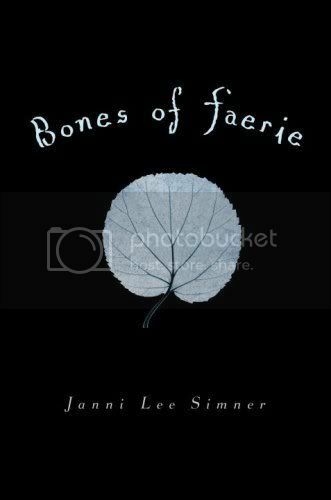 At the moment I love "Bones of Faerie". Its my third time reading it and it still is as good as the first time. The setting is in the future but because of the war between Humans and Faeries, it looks like the past. They have to grow their own food, they need to work and I don't think theres electricity anymore... all that fun stuff. Really good book. I took the liberty to add " " (two spaces) at the end of your linebreaks. You'll have to insert those to actually make the linebreak work, as opposed to just pressing enter and going to the next line. I also added two paragraphs to the OP, to make it even more pleasing to read. I am currently reading Baneblade by Guy Haley and Wulfrik by C.L. Werner after having finished the rather excellent Headtaker by David Guymer, while I'm waiting for Ahriman: Exile by John French and Skarsnik by Guy Haley to arrive in about 8-10 days. I'm shuffling my current reading pile around as I see fit, depending on whether I'm in the mood for massive tank battles in a scifi setting or grim, character-based fantasy. Apart from that, I'm shaking things up listening to Ben 'Yahtzee' Croshaw's Mogworld and various short stories like Plague Priest by C.L. Werner, A Sanctuary of Wyrms by Peter Fehervari, Crucible by John French, Witness by Joe Parrino, The Memory of Flesh by Matthew Farrer and about a dozen others waiting to be tackled asap. @DarkChaplain Thanks 'bout that :) I'm still getting used to all of this! And just one question, how the hell do you manage to switch between so many books, ordinary person would get confused ? Well, I guess that's one of the perks of the curse of multitasking. I sleep next to two books minimum, and decide on the fly which of them I wanna read at the time. It is actually quite easy to not lose track if only you're involved enough. I ain't an ordinary person. @DarkChaplain "I ain't an ordinary person." It would be boring If you were ordinary! :) I can't multitask like that, but I'm quick at reading, so on average, I can read more books than an person I know could. -Wizard and Glass by Stephen King, the 4th title of The Dark Tower series. -Slatewiper by Lewis Perdue, a thriller about ethnic bio-terrorism. @Namida "-Wizard and Glass by Stephen King, the 4th title of The Dark Tower series." -I'm actually at the 7th book now, but I don't want to end it really, got attached to the characters so I kinda left the half of it unread so I can finish it this summer when I get psychically prepared for the end! I am reading Howl's Moving Castle by Diana Jones, The Complete Works of Lewis Carroll, Miss Peregrines Home Peculiar Children by Ransom Riggs, and Only Revolutions by Mark Z. Danielewski. 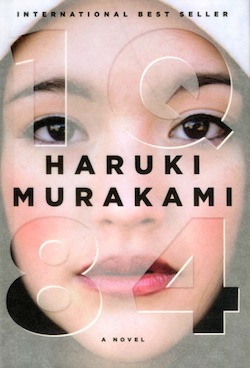 Currently reading 1Q84 by Haruki Murakami. I'm just starting so I'm unsure what the book is really about but so far, I've noticed the writing style is rather strange but likable. It's a rather popular book too but I still have no idea what it's about. I look forward to finishing it. 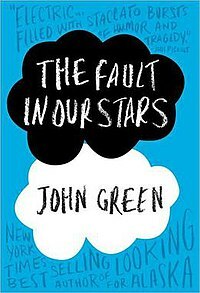 I just finished The Fault in Our Stars by John Green after putting off reading it for so long. Very popular book as well. It was really good and I finished it in one sitting as well as sobbed several times. 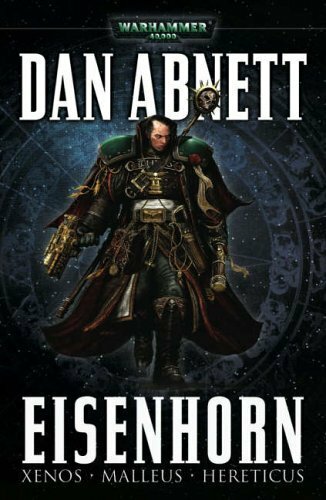 I am currently reading Eisenhorn by Dan Abnett and am on the second book in this omnibus. The author has great suspense in each book that makes me not put it down. I really am looking forward to finishing this book and reading more similar outstanding works. ps. @DarkChaplain suggested this book to me and I suggest it to everyone else as well! I've seen it at my local bookstore in the science fiction section and have been dying to buy it! @Maryam I'm currently reading this one as well. I'd say Murakami's one of my favorite authors as of late. So far, I've only read five of his novels and a few short stories, but I have a feeling that that's going to change soon. Oh man, that's great! I'm farther in the book now and I really like it. Probably will turn out to be one of my favorites. I'd be happy to hear any suggestions you had for books by him or anyone really! @johan_5179 Really now? I guess it's a good thing I picked up this author. Lol Sorry about that, but it's not a book cover. It's just some fan art found on a Haruki Murakami blog I follow. 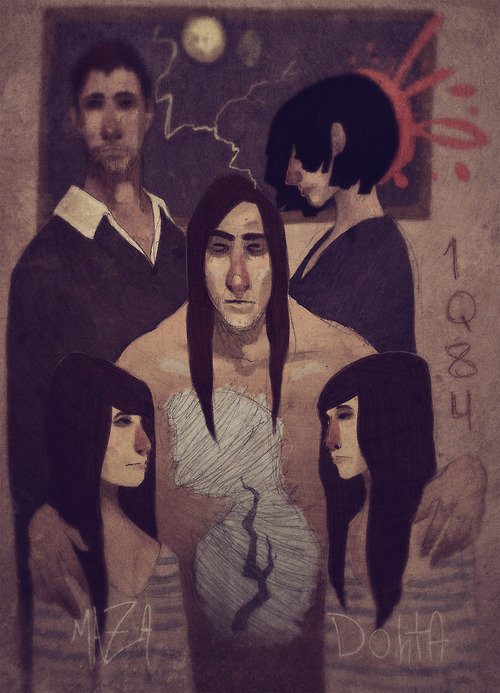 I own the three volume edition of 1Q84. Essays and Short Stories of Haruki Murakami (collected from the internet). In the pipeline - Kafka on the Shore (Haruki Murakami), Goldfinger (Ian Fleming, the last one remaining ! ), Ulysses (James Joyce. I'll try this. ), Antony and Cleopatra (Shakespeare) and The Duchess of Malfi (John Webster) for my course, Wuthering Heights (Emily Bronte). Will read some day - The Great Gatsby, Life of Pi, etc. There's more but this is all I can remember right now. I'm actually reading Sword Art Online Light Novels, currently waiting for Book 12 "Alicization Rising". This Arc is definitely getting interesting!